The North Windham Union Church is saying goodbye to the Reverend Dana Reed as he heads to Africa for one final assignment as a Navy Reservist. Though he doesn’t have concrete plans for what he will do when he comes back, he will not be returning to his role as pastor of the church, or to the ministry. “I came to the realization a few months ago that I really want to try something different,” he said. With the help of Heart at Work Associates in Portland, he explored his interests and past experience to help him discover what new direction he may want to move in. “I went full tilt into that kind of exploration,” he said. For Reed has been an ordained minister for nearly 30 years, and served as pastor of the North Windham Union Church for 13 years. He has also served as a chaplain in the Navy Reserves for more than 20 years. He filed for an extension as Navy retirement approached in order to take this final set of orders to Africa. The position he will hold is that of Command Chaplain, the senior ranking chaplain on the base in the country of Djibouti. “This is a really great opportunity to go to a place I’ve never been to before, and to spend a good amount of time there,” said Reed. Additionally, the position will mean travel to seven other African nations that are supported by the command. He will leave October 14th for processing in Norfolk, VA. From there he will head to South Carolina for training, before spending seven months in Africa. He will retire from the Navy in May of 2014, when this assignment is finished. This position will give him an opportunity to interact with religious authorities and leaders of widely divergent groups, he said. “The African scene is a vibrant religious place right now,” he said. For Reed some of the highlights of his time at the North Windham Union Church are a result of being able to respond to social circumstances. Some of these had a national scope, such as responding to the events of 9/11 and the economic downturn of 2008. Others were more local, such as being able to assist families in dire circumstances. “In terms of accomplishments, it’s been more of how we’ve been able to respond to human need,” he said. One of his most meaningful experiences came during the disaster of Hurricane Katrina in 2005. Reed was called upon by the State denomination to head up a disaster relief committee, as a result of people calling and wanting to help. The conference minister asked him to organize the efforts, and he created a structure to deal with the extensive needs. In close to two years of efforts, the committee had raised over $200,000 through their sister denominational churches, and had sent six medical teams and eight construction teams to the gulf coast, Reed said. At the same time, his reserve work took him to DC for a position with the Coast Guard. Through persistence and learning to navigate the fiscal system in DC, Reed helped secure additional funding to place six additional chaplains on active duty after Katrina. Doing something valuable both on the civilian side and the Navy side to help human suffering was one of his proudest accomplishments, he said. Though he doesn’t yet have a job in place for when he returns from Africa, Reed said he will seek employment with a non-profit humanitarian based organization, or an equivalent federal position. 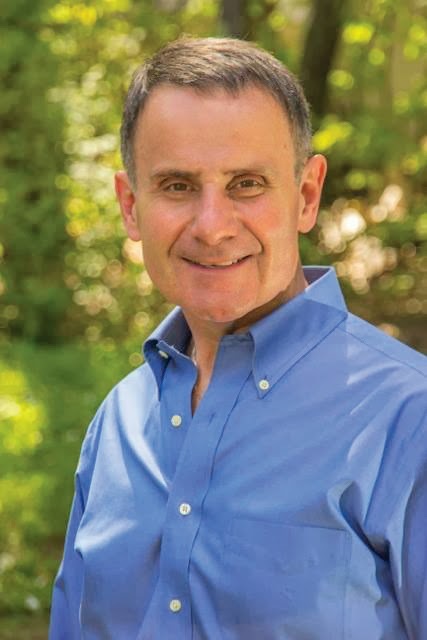 On the federal side, he said, he feels there are a number of positions he’d be well suited for, but he would love to find a position with the Federal Emergency Management Agency (FEMA). “I’ve just found that I really enjoy starting with nothing, and setting something up quickly,” he said. Much of his training for the Navy prepared him for that kind of work. “You get there with minimal resources and then become that staging place for other things,” said Reed. 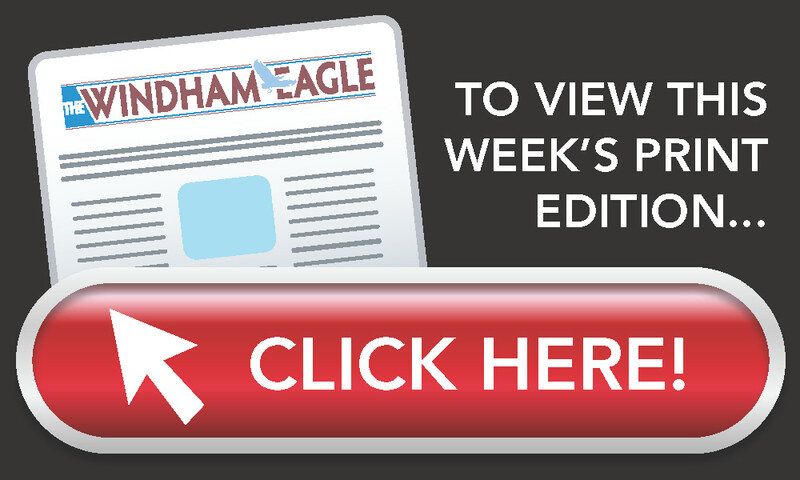 Though a federal job is of interest, Reed said his family plans to stay in the Windham community for two years after his return, to allow his youngest child, who is now a sophomore, to finish at Windham High School. His older son left for college this fall. 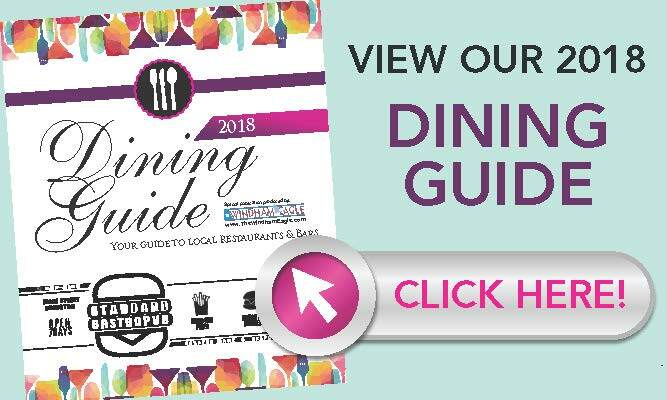 Reed said he deeply appreciates being part of the community since 1986, and being able to foster deep and lasting relationships with people in the community. “I’m very impressed with the other churches, their clergy, the efforts that they expend daily, literally, in keeping this community as strong as it is,” he added. For years Shannon Moss has been coming into homes in southern Maine as a news anchor for Channel 6 and then Channel 8 for 15 years. Now she is branching out in a new direction producing her own television show Split Screen with Shannon Moss. The premise of the half-hour show, which will air on WPXT and WPME, is that it’s a 15-minute interview with a public figure in an unlikely place, then the second interview is with a person you might not know, but should, Moss said. Half of the interview is fun and then after a natural commercial break, they will talk more about topics pertaining to them or their position. “Every interview will be different,” she said. MacArthur expects that people will tune in initially out of curiosity, then they’ll get hooked and there will be increased viewership. After 15 years of reporting in Maine and having the public “watch her grow up, get married and have two children”, Moss will finally have the time to tell the stories she wants to tell. “This show will be the format for that. Mainers will get to know their people,” she said. Response to the show has been great, Moss said. Viewers have been very loyal, following her no matter which station she was on and when her contract wasn’t renewed last June, they wanted to know where she would go next. A little over a week ago, Moss had her first shoot with Portland Police chief Mike Sauschuck. Her next interview was at the Samoset golf course in Rockland. The format is not what Moss is used to. “It’s been hard for me. My attitude and philosophy are it’s not about me. It’s always about the person and the story,” she said. However, this time, it’s more about her, hence her name in the title. “That’s been hard. I’ll be in there more. I don’t have an ego at all,” she concluded. Finding people to interview hasn’t been a problem either Moss said. People have emailed and mentioned to her who she should contact. “People like local,” MacArthur said. 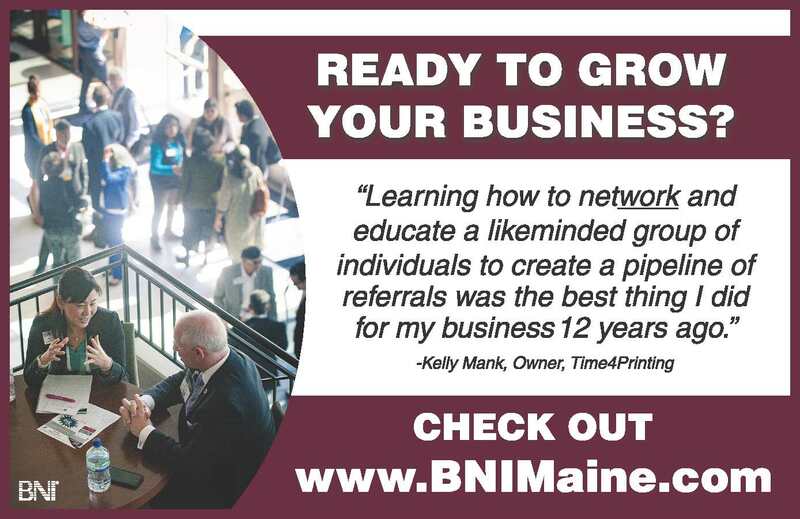 “They want to see people talking about people and businesses in Maine,” he said. Producing and finding funding for her own show has been a new experience. “It’s my business in that I hire the crew at WPXT to shoot it, but we’re actively searching for sponsors.” Finding sponsors has been a whole new ball game for her. She is only seeking sponsors who she deals with or is comfortable with. If she’s not comfortable with the company or product, she won’t have them on her show. In addition to airing Split Screen on television, it is also being broadcast on Moss’s website simultaneously. She plans to have a strong social media side to the show in order to reach as many people as possible. The show will air two new shows per month and will run three times per week for two weeks. Then the new episode will air for the next two weeks. The show will appeal to many, but Moss predicts that adults 30 and older will enjoy it most. “The enthusiasm and support have been the best part. That has been so heartwarming,” she said. For more on Split Screen with Shannon Moss, visit www.shannonmoss.com, Facebook/shannonmoss and by email. WPXT Sundays at 11:30 a.m.
WPME Saturday at 9 a.m. and 10:30 a.m.
Amanda “Button” Butler is home in Windham after her 2,168 mile journey from Springer Mountain in Georgia to Mount Katahdin in Maine following the Appalachian Trail (AT). “It’s been weird not walking everywhere,” she said after she’d been home a week. 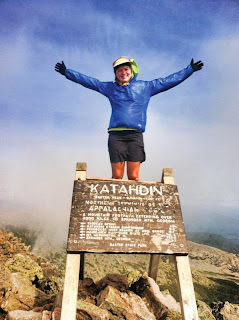 With a group of 11 new hiking friends she’d been with for two months, Butler finished the hike on September 15 on a blustery, but sunny day on Katahdin. “It wasn’t as emotional as I thought it would be. There were a lot of people on the summit. Every time I thought of it (during the hike) I got goosebumps,” Butler said. Butler’s father also joined her for the final summit. Sightseeing above the tree line was nice, she said. “You see so many sights.” At the top of Wildcat Mountain across from Mount Washington a family gave her a cookie and that became a favorite moment on the trail. When the group reached Gorham, New Hampshire, Butler’s parents brought the group home to rest for two days after the White Mountains and before the southern Maine journey, which was exhausting, Butler said. Off the trail she was just happy for a bed and a shower. “I was sick of smelling bad,” she said. Hiking made Butler more outgoing and gave her more confidence, she said. She also learned to survive minimally by not needing as much as she thought she did. Skills she will now bring to the job market are determination and sticking to her goals as well as social skills by being able to interact with so many unique people. Her favorite part of the hike was Maine and the Bigelow mountain range because there were so many lakes in Maine. “I thought, I shouldn’t think it’s my favorite part because I’m from Maine, but it definitely was,” Butler said. The food got marginally better once she started hiking with the group. Hummus became her lunch staple and she shared tacos, chicken, beans, guacamole and pasta with the group…”it allows you to be more creative. I don’t miss the trail food,” Butler said. Now that she’s home, she’s going to start looking for a job in environmental economics. “I’m a little excited. I haven’t really had a real job, so far,” she said. “It’ll be nice to have an income. I had a lot of hospital bills,” she added. Most that hike the AT can complete it for around $3,000 and others spend more like $5,000 to do it more comfortably, Butler said. She recommends the trek to anyone who wants to try it, but if there’s not a commitment, “you aren’t going to finish. It’s definitely not for everyone,” Butler said. 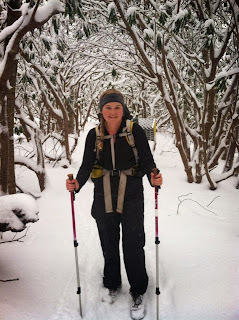 She started the trail on March 16, 2013. Early this past rainy Monday morning, officers and K9 dogs gathered in front of the Windham Public Safety building to celebrate the life of Windham’s first K9, Max. A garden with perennials and seasonal flowers was planted in remembrance and honor for the dog who paved the way for the K9 program in Windham. Max was born on May 12, 1999 in the Czech Republic. He was chosen out of a field of 12 dogs and purchased in June 2000. Andrew was told, I have one more (dog) for you to look at, “if you don’t care what he looks like,” said Andrew. With only six months at the department Max and Andrew found a 4-year-old runaway child who was a half mile away from his home in Standish. “Max is a hero,” said chief of police Rick Lewsen. In spring of 2002, Max became a narcotics detection dog. He helped take more than $1 million worth of cocaine and crack off the streets, Lewsen said. Max retired in 2008 and died May 9, 2013, three days before his 13th birthday. Lewsen spoke about Max. “Max touched the lives of everyone here. He was our first canine and a member of the Windham Police Department,” he said. The landscaping and building of the garden was completed by Dave Dixon from building maintenance. Last week, Andrew and Grinko had the chance to find a lost child. “I took Grinko out. He pulls me into the woods and there’s the kid. Thirty to 40 yards from where we were,” Andrew said. “It reminded me why I wanted to do this. We can get all the drugs in the world, as long as we find the child,” he added. Andrew’s mother was in attendance. “Am I proud of him? Yes, I am,” she said with a tear in her eye. 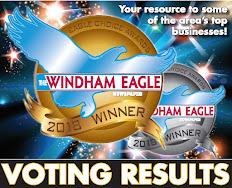 If you missed the 20th Annual Windham/Raymond Athletic Boosters Car Show on September 15, you missed an automotive treat. Every year the Athletic Boosters put on a car show that dazzles the public. And this year was no exception; a huge success with plenty of sunshine, endless raffles, good food and DJ music. The car show did not just feature classic cars; there were plenty of vehicles representing a wide variety of styles and eras from Rolls Royce to classic muscle cars. And, muscle cars weren’t the only vehicles that amazed onlookers. The show was open for any and every type of transportation including motorcycles. 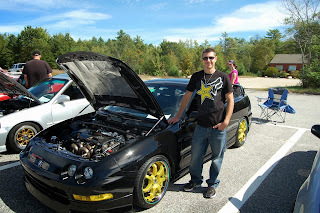 Folks from all over Maine and New Hampshire came to show off their beloved vehicles. No matter where your eyes drifted, there was something to see. The combination of people and cars at the show made this event remarkable. It seemed every car had a story and every owner was willing to talk to anyone willing to lend an ear. You could hear total strangers swapping stories and information about each vehicle while walking around them with admiration. Everyone there, no matter what the age or background, was all brought together by a love for these marvelous machines. 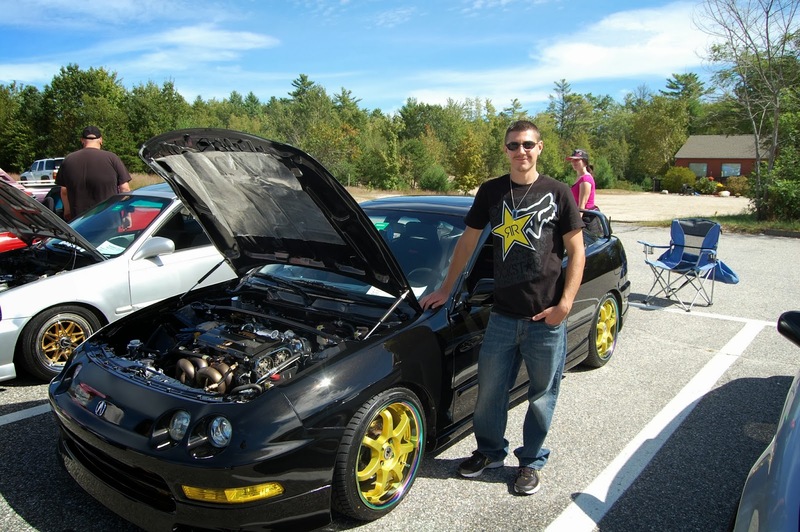 “Some of the older guys don’t appreciate the newer cars,” according to car show veteran Kevin Lehouillier of Saco. Kevin’s custom built turbo charged 400 horsepower 1995 Acura took second place in the compact sport division this year, down from first place the last two years. And what about those skeptics who don’t admire newer models? Kevin said it’s best to educate them by “pulling away from them.” Kevin and his Acura have won over 30 trophies in several states. 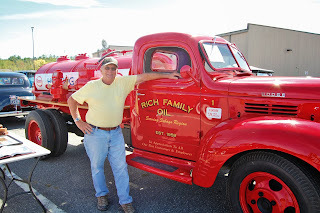 On the opposite side of the grounds was a bright red 1946 Dodge oil truck owned by 78-year-old Don Rich of Windham. 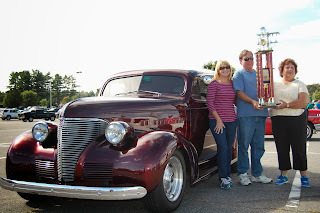 Don took third place in the antique truck division with his freshly restored company truck. “It was restored for all the customers who supported us over the years,” said Don. It may have been Don’s first entry in the car show, but he’s no newcomer, he founded his company in 1959, when oil was just 11 cents per gallon and his story could fill a novel. Twenty-seven categories were recognized with awards at the show. Trophies and prizes were handed out by the Windham High School varsity cheerleaders. This year’s coveted “Frank Jimino/Lorraine Jordan Best of Show” award went to Sherrie and Tim Burr of Falmouth for their mint 1939 Chevrolet 2-door Town Coup. The Burr’s also won best in class, walking away with not one, but two trophies. This year’s other winners were the athletes of RSU 14. Proceeds from the show go to providing the students with equipment and an endowment fund that there isn’t room for in the athletic budget. “It takes lots of volunteers to pull this off,” said founding chair member Lorraine Jordan. This year’s event was coordinated by Don McGowan and Debra Schkrioba.